There are over half a million Electric Vehicles (EV’s) on the road right now in the United States and more than half of them can drive over 200 miles on a single charge. At Wild West EV we are placing additional charging infrastructure to support the 50% annual growth in EV sales. This year the next generation of extended range EV’s go on sale. Tesla alone has over 450,000 deposits on it’s Model 3. 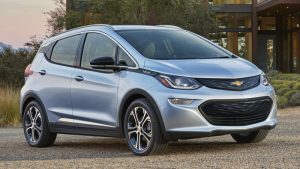 Chevy’s new 248 mile range Bolt went on sale in late 2016 with a price after tax incentives of under $30k. At Wild West EV we are installing the highest speed 80amp Level 2 J1772 changing standard. All major manufactured cars can charge at a Wild West Charging Stations. In late 2017 also we plan to add even faster Level 3 charging at select locations.